If you know how to cycle, this article is nonsense; if you don't it is essential. About two months ago, against all odds, I learned how to cycle. My first try was 10 years ago but failed. After 10 years I tried again, and this time I succeeded. 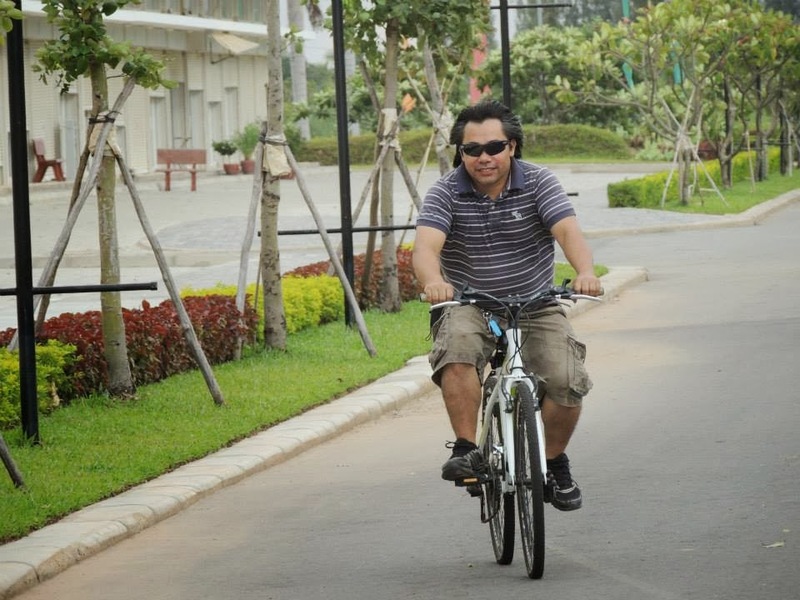 You can imagine how proud I was when I had my first cycle around Phnom Penh, the Cambodia's Capital! The saying, "You cannot teach an old dog new tricks" is a myth. Of course you can. It may be harder and requires more focus, courage and determination. I don't believe older people cannot learn new things. 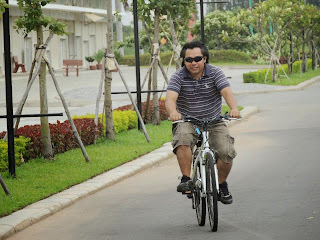 Learning to ride a bicycle, for example, when you are over 42 years old is not as difficult as you thought it would be. I learn how to ride a bicycle at age 42. So I know it is possible to learn new things despite your age. The most important in learning how to ride a bicycle is pedaling and balancing. Once you learn how to pedal and balance, you learn the basics of cycling. Answer this QUESTION first: How Bad Do You Really Want to Learn? Before you jump to read the 5 steps below, answer this question first. Do you really really want to learn how to cycle? How bad do you want? If you are hungry enough, you will learn how to do things. You can learn almost anything if really want to. Buy a smaller bike; low enough so you can plant both of your feet on the ground. Rent or borrow but buying your own is better. This way, you are free to wreck your own without having to worry about the borrowed item. At the beginning stage, I suggest that you practice on a small bike. Just plant your foot/feet whenever something goes wrong and you don't need to worry about falling. You are old enough and don't need someone to tell you what to do every time you make mistakes. Practicing alone is a lot better than have someone telling you what to do. Get the info that you need, then do it yourself. It worked for me. You need enough space to practice without being interrupted. You need spacious area because you must keep moving because when the momentum stops you will fall. Learning how to cycle can be humiliating for an adult. When everyone knows how to ride a bike, especially small children, except you, handling embarrassment can be pretty challenging. This is the reason other's don't even want to try. Try to practice at night or early morning. If you practice at night or early morning, you are free to make mistakes without worrying about being embarrassed. If you can commit to this, you are one step closer to your cycling success. It takes courage to start and takes determination and commitment to keep the fire going. If you didn't get on the first try, don't give up! Keep trying. Although you can learn how to ride a bicycle in few minutes, to really master it, you need to keep doing it. Now that you finished reading this, go and do it. You can only learn how to cycle by doing it, not by knowing the "how to" and reading practical guidelines. If I could do it you can also do it. Congratulate yourself because you are now one step closer!